Originally, wax was used to seal and preserve the validity of paper documents. A document that had an unbroken glob of wax holding it closed was deemed a document that had not been tampered with since the time that it left the hands of the person who sealed it. Over time, many began to impress images into the wax when it was still soft as a means of authenticity. Important, well-to-do persons often had badges of office which they impressed into the wax making it known that the sealed document had not been tampered with, and had come directly from a very important person. Although few could read, most recognized these important images. Eventually, sealing wax became no more than a decoration. 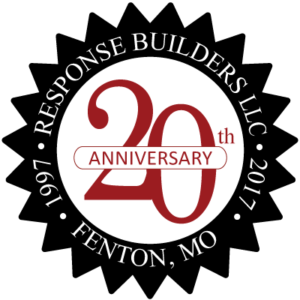 None the less, Response Builders was founded on the principles of the wax seal: tradition, prestige, originality, authenticity, security and validity! Ready to get started on your web site project? Are these the qualities you’d like to see in your website? Contact Response Builders website design today and we’ll put our stamp on your project.